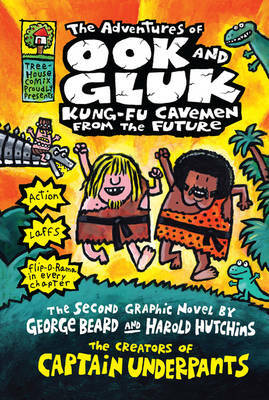 George and Harold create the greatest super-hero in their school's history and now they're about to bring him to life. Meet Captain Underpants. His identity is so secret, even he doesn't know who he is. The novel introduces "flip-o-rama" - the illustration technique that lets you animate the action. 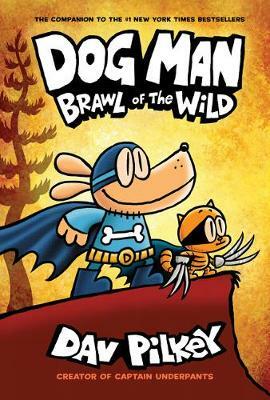 Dav Pilkey was born in Cleveland, Ohio in 1966. He currently lives in Eugene, Oregon with his dogs, Little Dog, Leia, and Martha Jane, and his cats, Blueberry and Edward Velvetpaws. Dav (originally Dave) hit upon the current spelling of his name when a label maker used to create name tags refused to print the letter â€œe.â€ Though the spelling has changed, the pronunciation is the same.